Whether you plan on freezing leftovers or following a “freezer style” recipe, there are some questions that usually come to mind. Which jars can I freeze in? Jars that do not have shoulders (ones that are straight sided or “tapered”) are the easiest because the contents can expand upward in the jar during freezing, especially if you’re freezing liquids (jams, jelly, soup, broth, etc). You can use other food grade jars, as long as the expansion of the food isn’t a problem. We often freeze single serving sizes of grilled chicken, beef BBQ, or meatballs in other jars since the straight sides really aren’t a requirement. Jars with necks (sauce & woozy bottles etc.) are not recommended, as the contents will expand upward into the part of the glass with a smaller diameter causing breakage. If the description of the jar doesn’t mention that it is safe for freezing, double check with your supplier. The chart below indicates Ball jars that are freezer safe. Which lids should I use for freezing? You’ll want to use a lid with a plastisol liner or a foam liner to create a good airtight seal. This is a great time to re-use your already spent flat canning lids or single piece lids because all you need is a good seal to keep flavors in and air out! The single piece lids are nice for jams and products that you will be getting into often. You may also use the plastic lids with a foam liner or the plastic lids by Ball. Another great lid option – iLids Storage Lids – they come in a wide variety of colors, which is very useful if you want to be super organized and color code your freezer items. How much can I put in a jar? Allow enough headspace for the expansion of your product. Some, but not all of the Ball jars have a “FOR FREEZING——FILL HERE” line embossed on the glass. A general rule of thumb for any jar is to only fill to a little below the collar of the jar. What’s the best way to thaw a jar and its contents? Remember most food grade glass exhibits a 90-degree thermal shock differential! When canning, you can’t pour hot contents into a cold (or sometimes even room temperature) jar. For the same reason, you shouldn’t expose your jarred frozen items to sudden heat. Set them on a dish towel or paper towel on a plate or tray (to hold/absorb the melting condensate) and allow thawing in the refrigerator overnight, or on your counter if you are able to monitor them. If you need to speed up the process, you may set them in a few inches of lukewarm water. Do NOT try to microwave a frozen jar. If you’re not comfortable freezing in glass try Ball’s Plastic Freezer Jars – available in 16 oz & 8 oz sizes. question: what is the benefit of freezing over just canning? Good question. It really depends on what it is you are trying to preserve. It also comes down to personal preference. How do you know if the jar is air tight? It says above: all you need is a good seal to keep flavors in and air out. Does that mean to just screw the lid on? I’m used to freezing in plastic bags where I squeeze the air out – but have decided to start freezing in canning jars. Yes, just screw the lid on tight and put it in the freezer. is there any danger to freezing a vacuum sealed jar? Does the expanding liquid as it freezes create too much pressure? Are you referring to a jar that has been sealed via water bath or pressure canning? If there are not chips in the rim of your jars and the lids you are using have a good plastisol, silicon or rubber liner, you should have a good seal. The 2-piece metal canning lids should have that ring of plastisol, that if screwed on properly should provide a tight enough seal to prevent leaking. How long can the frozen tomatoes be kept frozen and maintain their integrity? I wouldn’t want to let the whole tomatoes in the freezer for much more than a couple of months; partly because of texture, but also because it’s not the most efficient use of freezer space. I’d consider throwing them into a sauce or soup that needs a little more volume as soon as I’m able. I want to freeze bulk organic milk. I am using gallon glass pickle jars and have already broken one..so now I am gun shy. 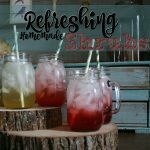 Is there any better jars to purchase that would work better? Since milk is a liquid and liquids expand quite a bit, you want to be careful using glass. I’d guess at no more than 3/4 and see how that works. I prefer to use plastic bottles since they can deform to accommodate the expanding liquid. I’ll drink a cup or two of milk from the plastic jug and then put the jug in the freezer. If you have empty liter plastic bottles, they work well too. We really don’t recommend freezing in jars with shoulders – especially liquids. Many products that contain dairy just don’t freeze well. But, if you’re happy with the way in which your milk behaves upon thawing, have at it. 🙂 If you feel strongly about NOT using plastic, the Ball Widemouth 24oz jars or Ball Widemouth 16oz jars would perform well. They are designed for freezing as well as canning, so you shouldn’t be experiencing breakage if you’re thawing properly and not over-filling. If you don’t have an aversion to the plastic, I’d concur with Atalanta on removing a portion of the plastic jug and then freezing it. However, I can’t speak on the durability of the plastic , so you may have some issues there as well. Something to use a s reference for whichever manner you choose to freeze: The volume between the “Freezer Line” on the 24oz Jar and the rim of the jar is about 5oz. Using that as a guide, you’d want to allow for a proportional amount of expansion for the volume you’d be freezing. How do you know if the jar is air tight? I have successfully frozen milk in quart jars. leaving at least an inch of “headroom” empty at the top. I’ve thawed the jars in the fridge overnight or a bit longer and have had no problems with breakage or milk quality. I was pleasantly surprised. Good luck. My experience tells me that food canned in jars deteriorates less and is less likely to get freezer burn–the glass is just more impermiable so foods don’t lose color, texture and presumably food value as quickly as other containers. Canning (and freezing) glass jars are made with tempered glass that tolerates more heat and cold, and are stronger than one-time glass jars used in store canned items. Look for the mark of a food canning jar (for example, Kerr Ball, et al. (Avoid the store jars for canning, also). Fast freezing products on a tray, then putting frozen product in a jar and sealing works well for fruit (strawberries, blueberries, onions, peas ) you want to use for garnish or soup/hot dish. When canning solid vegetables (corn, tomato juice/paste, for ex., or soups, chili, and sauces) I tend to leave the appropriate lid loosely sealed until the product is thoroughly frozen (up to a day for pints and quarts) seal tightly with as soon as the product is fully frozen. Since no air can enter, your product is sealed. I have frozen shredded mashed bananas, zucchini(to make bread or muffins), made frozen cole slaw, frozen most fruits and vegetables successfully. From my experience the product frozen in jars is far superior to any other . Thank you all for all the positive, helpful ideas. Can I freeze 8 ounce jelly jars? I’m making some desserts in them. If the jars have shoulders (get smaller toward the top) of any kind, we wouldn’t recommend it. If you’re using the quilted Ball jars or the Kerr jars with the same shape, or our tapered jars, there is sufficient room for expansion.You’ll also want to be sure to leave enough head space so that the contents don’t push up on the lid during freezing. Hi I think your site is terrific. Just discovered it today! However, I am relatively new at freezing and have a question. I have 3 watermelons left from a picnic this weekend. I wasn’t sure how to freeze them i.e. what jars to use and if they need to be in water or something. I have regular mouth pint and quart Ball jars as I do a lot of canning. I would like to start freezing some fruit. Can I also cut fresh fruit and make a fruit cocktail and freeze? Oh, one other thing. What is a shouldered jar as opposed to a straight one? Thanks for your time and knowledge. Have a great day! Hi Sharon, Glad that you found us! There are a couple of things to consider with your question. 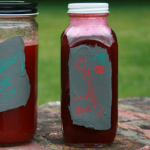 If you’re freezing items like blueberries or watermelon cubes that you already froze on a tray, or whole cherry tomatoes; items that are not fluid and will not expand in a way that liquids do, you may use jars with shoulders. A jar is said to have shoulders when the mouth and/or neck of the jar is smaller in diameter than the body of the jar. Designs vary in the slope of the shoulder, but the important factor is that the as a fluid is freezing in a jar and expands, it needs to expand upward. If it reaches the shoulder, the part where the diameter tapers inward, it is much more likely that the jar will break. Fruits can get tricky. Because most of them have very high water content, the freezing usually causes the cell wall to break, resulting in a thawed product that has lost most of it’s original texture. In a pinch, I’ve often frozen fruits that I know I’ll be able to use for jams, sauces, smoothies, and things that don’t rely on the texture characteristics of the raw fruit by quickly packing them in either a mason jar or bag. If you like fruits (blueberries, peach slices, watermelon cubes, raspberries etc) to keep some of their shape rather than becoming a clump of fruit, the best way is to lay them out on a tray and flash freeze them. This way, you can pull a handful of pieces out as you need them instead of thawing out the entire batch. For the record, I’ve never frozen watermelon, but I’ve read that it does become mushy upon thawing. However, it can still be a worthwhile addition to smoothies, or for frozen desserts like a granita or sorbet! Hope this helps! Thanks for the info. I’ve placed your site into my favorites and will probably come here often! I have the similar question as Seahare- but I don’t see an answer on here. I use “food saver” with mason lid adapter for vacuum sealing. Is there any risk in placing a vacuum sealed mason jar into the freezer? Hi Amanda, If you’re still keeping within the “freezing” guidelines and starting with safe food, I am not away of any risk. Certainly, some things freeze & thaw more nicely than others. By removing that extra air, you’re likely to get a slightly nicer frozen product in some cases, plus you’ll know that you have good seals. 🙂 If one is re-using canning lids, this would be a reassurance that you’ve got a nice air-tight seal. Hi. Thanks for all the great information. I have run into an odd issue with the last three jars of soup that I froze in freezer safe wide mouth canning jars. When I unscrew the ring and lift the lid they make a loud popping noise, it sounds a lot like popping a champagne cork. The soup looks and smells fine, but I have been afraid to eat it. Any ideas on why this is happening and whether it is safe to eat? Hi Jay, It’s a little hard to say without speculating. 🙂 But here are some considerations. If the jars were filled & capped while contents are still hot, then there would’ve been a natural vacuum that was created as the contents cooled and the lid would actually seal. (Sometimes this is misunderstood as a sign that it’s “shelf stable”. It’s important for me to point out that in this case, a sealed jar is a result of physics, and does not mean that the contents are shelf stable) I’d be concerned if there was outward pressure, which would imply that something was happening that would cause off-gassing. Not likely in a frozen situation, but possible upon thawing that you could see it, especially if it was something that contained anything that could begin to get rancid of go down the spoiling route quickly. This would be more likely to happen if the product was cooled to slowly and a component had already started to go bad. I hope this help to shed some light on your issue. Which jars are good for freezing prepared smoothies in? As for thawing smoothies, what are your suggestions? We’d suggest the widemouth Ball or Orchard Road Pints. They are both freezer safe. Thawing smoothies get can a little tricky depending on the original texture and what your expectations of the thawed product. 🙂 Typically, a more gradual thaw in the refrigerator will increase your chances at catching it at the slush stage. I have a large family, can I put freezer jam in quart wide mouth mason/ball jars and freeze? Hi Holly, We wouldn’t recommend that jar. It depends on how much sugar is in your jam, and if you fill it to the shoulder. 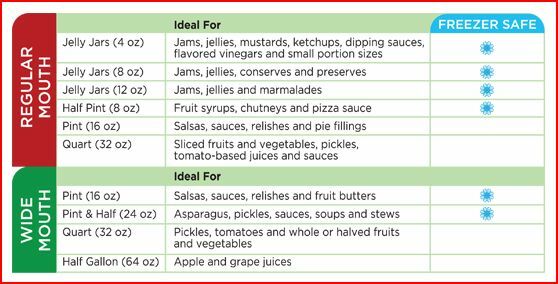 We’ve found that some of the sugar-heavy jams don’t tend to expand quite like others, but knowing that recipes vary (especially for freezing) we wouldn’t want you to lose jam. However, if you don’t fill it to the shoulder, you’re wasting a bit of space and it would probably just make sense to put it in a Ball 24oz widemouth if you have some, or the widemouth pints. I froze spaghetti sauce and homemade soup for the first time in regular Ball jars. The lids on the soup have remained flat but the lids on some of the spaghetti sauce jars have bent a little from the pressure of the contents freezing. Will this cause problems? Will the contents still be ok to eat? Hi Maureen, If the bulging happened in the freezer due to expansion, and you’re relying on the freezing to put spoilage on hold, the spaghetti sauce should be OK assuming that the ingredients in the jar were safe to start with. 🙂 However, for future batches, we’d recommend leaving more headspace. If you’re using Ball freezer safe jars, look for that “Freezer Fill Line”. If you’re using other jars, be sure to leave room for expansion below the shoulders of the jar. I’m planning on freezing my homemade chilli in mason jars this week,just curious if it is safe to pressure can them later on. Hi Mel, Well, I wish I had the chance to tell you to plan to pressure can it right off the bat! 🙂 This would be an easier conversation to have in person as there are some important variables to take into consideration. I can not, in good conscience, recommend this practice. However there’s a possibility that it could be OK if & only if certain factors were met. In light of those factors, it would need to be somewhat time-consuming. First: Did you use a chili recipe that is safe for canning? If not, keep it in the freezer. 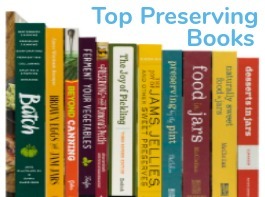 If it is a canning safe recipe, did you use jars that are safe for the pressure canner? If you didn’t, keep it in the freezer. If you did, then you would be OK to pressure can it…however, I’m concerned about the time between removal from the freezer and pressure canning. There will be some time spent in the “danger zone” of food prep if you simply keep it in the jars because they should be warm enough as to avoid thermal shock as you pressure can them. I know it would be more work to empty the jars into a pot to reheat the chili, and to then fill warmed jars and commence with the pressure canning, but if all other factors (recipe, initial handling/prep, jar & lid choice) are acceptable, that would be the only safe option if you absolutely needed to free up that freezer space. Hi Lisa, first off, thank you for your service to help others freeze safely mason jars. I really and desperately needed another affordable option outside of plastics bc as we know, it’s so toxic and I’m a mother of 3 small children ages 3, 2, and 4 months. I’ve been wanting to freeze some our our veggies from our garden so my infant can have some once she starts eating solids. I’m not concerned about the taste persay bc she won’t know the difference. I have mostly squash/zucchini, cucumbers, and melons. I purchased the freezer safe ball mason jars (wide mouth). I have peeled the skin and cut into small pieces. Now I’m ready to freeze. What is the best way to do this? 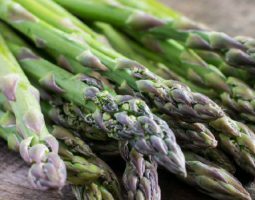 I hope these are helpful in your efforts to provide healthy foods for your family! Hi – thank you for this very helpful overview, it’s a wonderful resource with detailed explanations. By any chance, do you have experience freezing goods in the quart size, wide mouth Ball mason jar? I was very surprised by the chart that indicates it is not freezer safe. I have seen many quart sized jars frozen before, though I’ve personally not tried it to date. Would appreciate any thoughts on this, thank you. Hi Julia, The problem with those quarts is the presence of shoulders on the jars. As the contents freeze, they’ll expand (some more than others) and if the freezing mass can not slide up without any type of resistance, there’s danger of breaking. People have frozen in them but the need to leave so much space empty in the jar for expansion before reaching the shoulders can be space prohibitive. The glass isn’t the problem – it’s the physics of the contents interacting with the shape of the jar. 🙂 I hope that helps. I just bought pint glass jars to freeze second batches of my sauces, opened the package, and then saw on that jar chart that says they are not freezer safe. What exactly is it about the pint(16oz) jars that are not freezer safe? Is it because of the shoulders? Because I feel like the wide mouth pint jars have shoulders too, but they are deemed as freezer safe. Wow, I just saw the previous post about the shoulders. Still wondering why the wide mouth pint jars are ok to freeze in. Thanks for your question. Understanding which jars are safe for freezing can get confusing. The 16oz regular mouth Ball jars do have shoulders, which is why the are not a freezer safe option. The wide mouth jars are straight sided and do not have shoulders. There is a visible fill line on the wide mouth jars to indicate how much space to allow for expansion. Why are 32 Oz Ball Jars not freezer safe? Ball’s regular mouth and wide mouth 32oz. jars have shoulders. Jars with shoulders are not recommended for freezing. 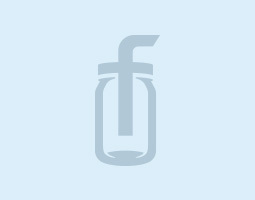 Instead we would suggest using the 24oz wide mouth jar, which is straight sided – without shoulders. I want to freeze raw cat food in the 8 oz wide mouth jar. If I do not pack it or fill it to the top, would this be safe? I want glass bc/ it is so much easier to clean. 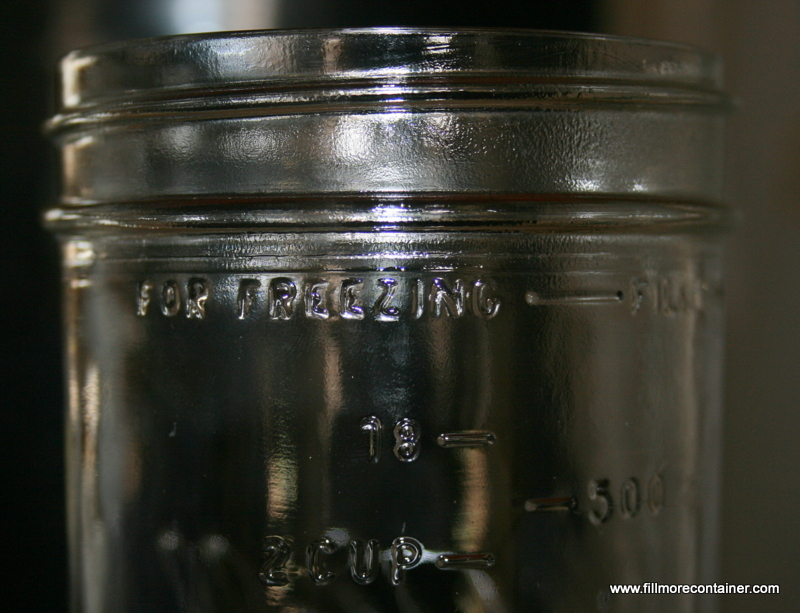 When freezing in glass, be sure to only fill to the fill line shown on the jar. Generally, that lins is located below the threads on the top of the jar. I have the Kerr wide mouth 32 oz that I’d like to freeze my puppies food in. Is this safe? We don’t carry a Kerr 32oz. WM jar, so I am not 100% on the details of your jars. However, if the jar doens’t have shoulders, and you only fill to the recommended freeze line on the jar, it should be fine. I freeze all sorts of things, leftover’s from any cooked meal: meats, veggies, soups, stews. Always use the straight jars, with the wide mouths. Lids are up to personal choice. Works well.